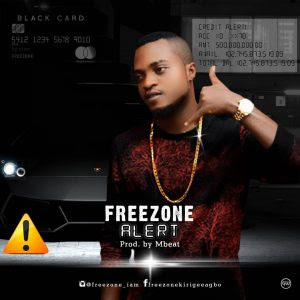 "Freezone" is a singer/rapper song writer who is from Enugu state and born in Jos, he premiers a spanking new banger titled "Alert". This is one sure song with a feel your playlist can't resist. "Alert" is all over the place and everyone needs to vibe to this "Mbeat" produced tune. "Freezone" is saying a big hanks to all his fans.